Here for a limited time only! Enjoy this scent for the spring and summer time.... This fragrance is the aroma of a bright and sunny summer day! 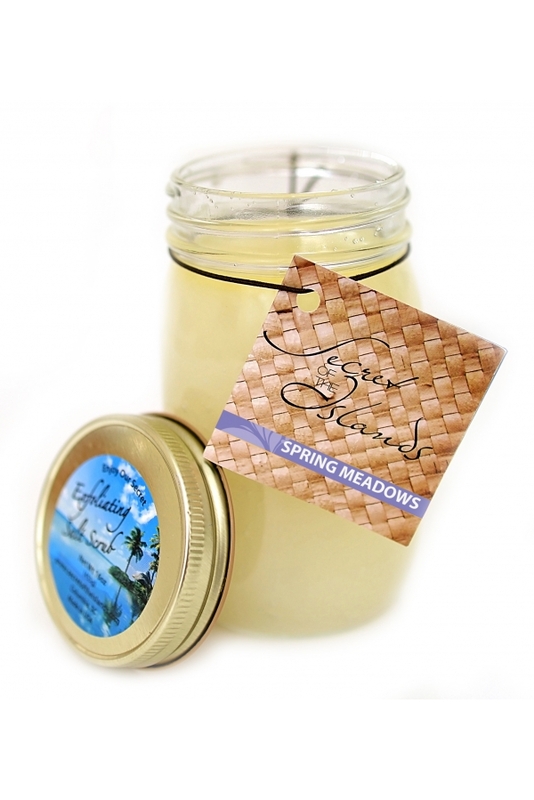 Delight in the aroma of the fresh outdoors with Secret of the Islands Spring Meadows Salt Scrub. Our secret salt scrub recipe uses the power of nature to soothe and exfoliate leaving your skin feeling like silk. Using this treatment on your hands, feet and body nurtures the soul and helps maintain youthful looking skin. Pair with our Exotic Body Butter to seal in moisture for even longer lasting results! 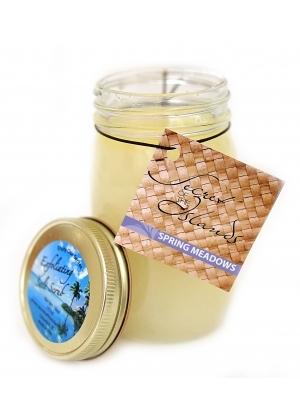 Our new Spring Meadows scent is a perfect way to Escape to the Islands and Enjoy our secret. . . .